Protea Book House, 9781869190163, 181pp. 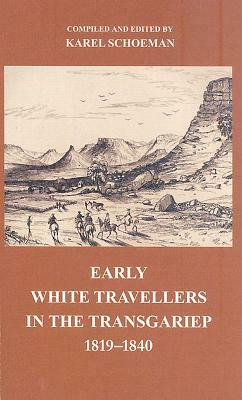 Early White Travellers in the Transgariep is a survey of early white contact with the region, and more especially of the written accounts left by the first travellers there. White hunters from the Cape Colony visited the area now known at the Free State from the end of the eighteenth century. In 1825 seasonal migration to the region by white farmers was officially allowed, which soon developed into permanent settlement; in 1838 a Trekker party acquired the area around the modern Winburg from its original black inhabitants, in 1846 a British Resident settled at Bloemfontein, and two years later British sovereignty was proclaimed over the area.